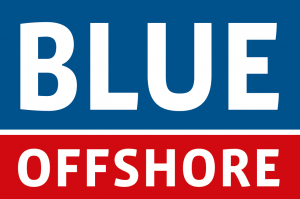 Blue Offshore supports its customers with worldwide installation, transport, storage, field jointing and repair solutions for subsea high voltage cable, array cable, flexible pipe and umbilicals. Our mission is to assist international customers with the development of the world’s oil, gas, wave, wind and tidal potential. Our solutions include the rental of innovative modular offshore deck equipment. Our full range of rental deck equipment consists of basket carousels, tensioners of 10 and 15 tonnes, loading towers, roller highways and chutes. We can also provide tailor-made solutions. 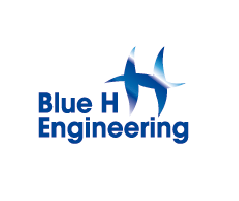 Blue Offshore supports vessel’s deck and equipment engineering, Finite Element Method calculations, sea fastening and stability analyses, project management and project engineering. We also provide offshore crew to operate the deck equipment during operations and to support mobilisation, hook-up, commissioning, maintenance and demobilisation. Our basket carousels have a modular design and have variable product carrying capacities up to 5,000 tonnes for dynamic use and up to 7,000 tonnes for static use. The outer diameters of the basket carousels are 15m, 18m and 23m. Our basket carousels are Lloyds’ Register certified. The basket carousels have an integrated grillage for sheerleg lifting or SPMT (de)mobilisation. The grillage is strong enough to support lifting the basket carousel in one single lift during (de)mobilisations. We have developed a Lloyd’s certified 15m outer diameter basket carousel that can be lifted loaded with 1,000 tonnes of product. Also our loading towers can be lifted in a single lift. Our equipment can easily be installed on a wide range of vessels or placed on the quayside. Cost and risks are reduced due to the modularity of the equipment. It allows flexible product loading and installation schedules with an increased choice of product installation methodologies. For splicing operations for the Hornsea project, Blue Offshore supports VBMS with a 23m OD – 8m height basket carousel onshore. Blue Offshore provides a flexible storage solution for NKT cables for the Hornsea project, by providing a 23m OD – 10m height basket carousel on a barge. 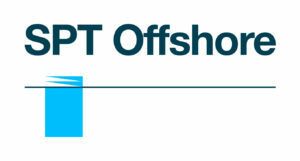 Blue Offshore has supported Subsea 7/EMAS with the offshore installation of a flexible pipe for the ENI OTCP project in Ghana, by providing a rental modular system. The system consisted of an 18m OD – 6m height basket carousel system, associated equipment and crew. Saipem involved Blue Offshore in the Zohr 1 Field Development project in Egypt. Blue Offshore provided a rental 23m OD – 8m height basket carousel system and crew for the transportation and installation of umbilicals. EMAS AMC (Chiyoda) contracted Blue Offshore to provide a rental 15m OD – 4m height basket carousel system, able to lift 1,000 tonnes of umbilicals, and crew, used for the installation of umbilicals for Woodside’s Julimar Development project in Australia. Blue Offshore has supported Subsea 7 with the installation of a flexible pipe for Statoil’s Oseberg Delta 2 project by providing a modular system, consisting of a 23m OD – 8m height basket carousel.